Beyoncé gave birth to the twins so Father’s Day can wait. We may have to postpone Father's Day this year (sorry, dad!) because major news sources are reporting that Beyoncé has, at long last, given birth to the twins!!!!!!!! 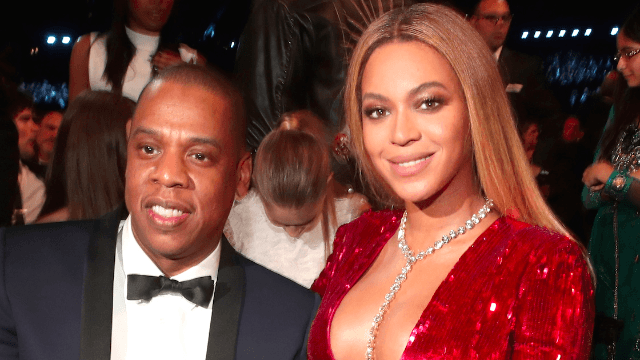 Outlets like CNN, US Weekly and People are all reporting that a "source close to the couple" told them that Beyoncé and Jay-Z "have welcomed twins." So either we're being punk'd, or America's newest royal Bey Beys have entered the world. The Beyhive has been buzzing for over a week with rumors that Beyoncé had already given birth or gone into labor, after various "sources" reported seeing black SUV's leaving Bey and Jay-Z's neighborhood, and anonymous sources claimed she had been checked into UCLA hospital last week. TMZ is reporting that Beyoncé and Jay-Z gave birth to "a boy and a girl" (omg!) last week and that the babies were kept in the hospital for a week due to a "minor issue." Beyoncé is also being kept at the hospital, TMZ reports, but the outlet confirms she and the babies are all doing okay!!!!!!! "Wow! Did Beyoncé have a boy and a girl?" they wrote. "A woman was seen carrying pink & blue balloons into UCLA Medical on Friday with a card for 'B + J'!" That's right people, pink and blue. WE KNOW WHAT THAT MEANS. Although boy and girl would contradict Obama, who made a statement last week that fans interpreted to mean that Bey and Jay are having twin girls. But maybe Obama was just being sneaky?? I love how Beyoncé has put herself in such a position that her fans won't believe anything about her life unless it comes straight from her. Others are freaking out that the twins were born during Gemini season, the astrological sign devoted to TWINS. Perfect timing. Classic Bey. SORRY, DADS. We know you raised us and everything, but we simply must focus all of our energy on Beyoncé's new babies right now!!!!!!!!!! Surely, you can understand, right?